So I gathered some foliage and rocks from my front yard and had some fun arranging the found bits of bits of nature to create these natural Christmas trees. They turned out even better than I had imagined! These touches of fresh plants to my decor makes everything feel a little less cold & drab, and a little more refreshing. If that’s possible in December?! I loved how rustic and simple they turned out! And to make them even more versatile there is a black and white, and colour version of each print. They would go in any minimalist/Scandinavian/modern Christmas decor theme. 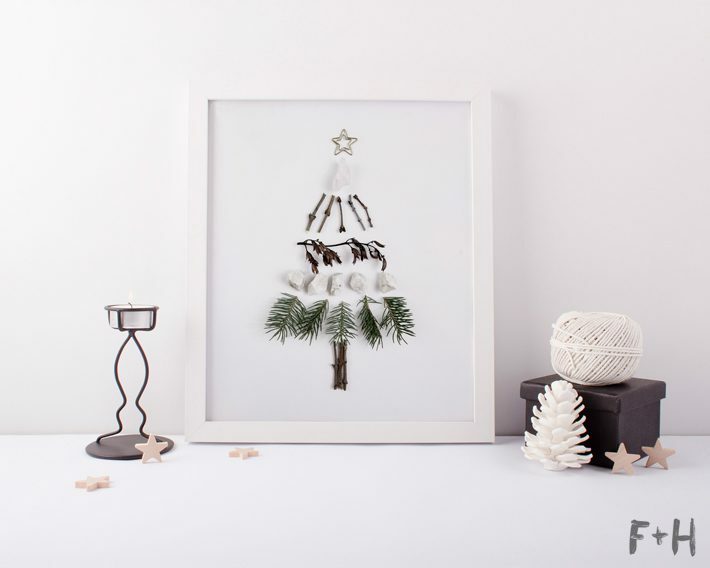 And these natural Christmas trees are a fun way to bring the outdoors inside (without the upkeep!) These would also make a great hostess gift for any holiday parties you’re headed to this season! 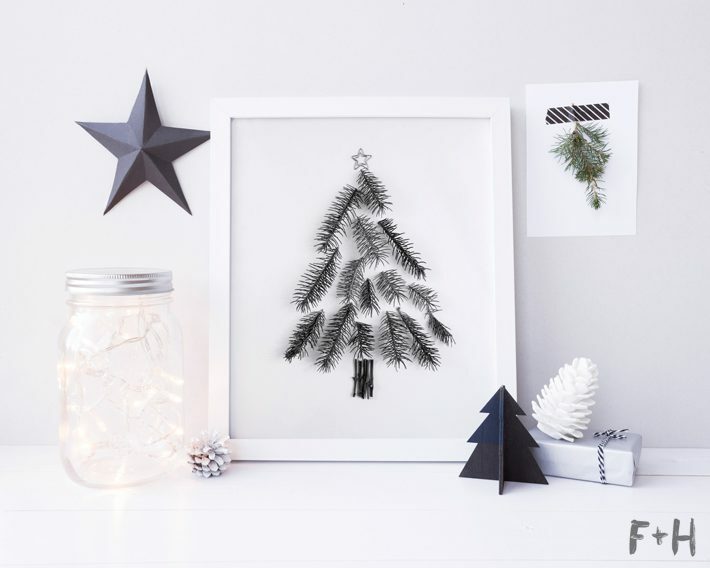 You can put one of these prints in a frame, grab a bottle of wine and you’ve got a festive gift! 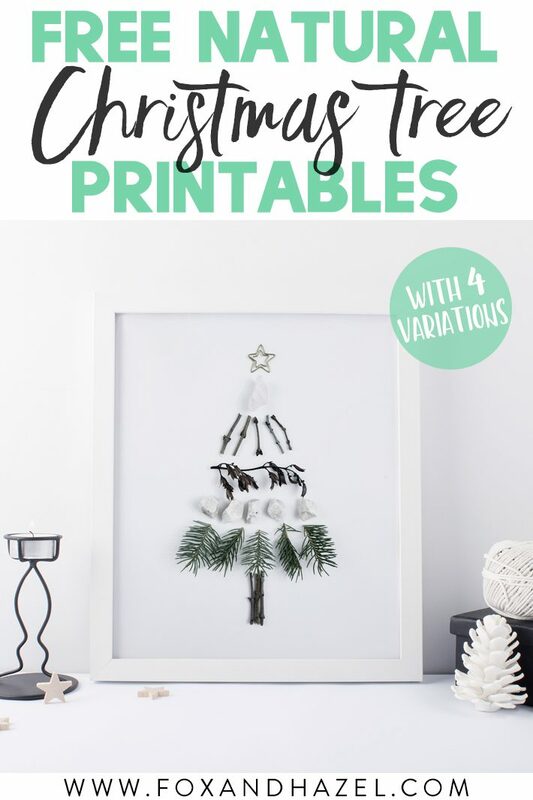 Also, if you’re looking for more Christmas decor, be sure to check out these free watercolor Christmas cards + art print, and this post where I’ve rounded up over 110 free modern Christmas designs!